Sergey the Director of Extension Programs at the American University of Armenia, and a Strategy professor at AUA. Sergey is formerly a Deputy CEO at IDeA Foundation, a major philanthropic organization undertaking headline development projects in Armenia. He has a management consulting background with 15 years of experience in strategic planning, project implementation and strategy advice, working in New York City, Yerevan and Moscow. Sergey has worked at the Central Bank of Armenia and acted as an expert at the OSCE office in Yerevan. His private sector experience includes management positions in investment and consulting companies in Russia from 2005 to 2007. Before returning to Armenia for the second time in 2012, he worked as an Economist at The Conference Board in New York City. Sergey’s consulting clients include Euromonitor International, UNICEF/ UNDP Armenia etc. 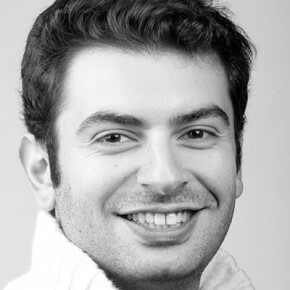 In addition to his 2011 MBA from International Business School, Boston, MA, Sergey also holds an MSc in Economics from Yerevan State University, an MCLS from the American University of Armenia and a Doctorate degree in Finance and Economics from the National Academy of Sciences of Armenia (2007). As a 2006 Fulbright Fellow, he pursued studies in Strategic Development and Global Economy at Dickinson College, Pennsylvania. Sergey also is an alumnus of the Eurasia Executive Leadership Program (2008), University of Cambridge, U.K. Prior to becoming a Sauvé Fellow and Academic trainee at McGill University in 2009, Sergey headed the Strategy Development Division of AmeriaBank in Yerevan (an affiliate of Troika Dialog, a renowned Russian investment company).